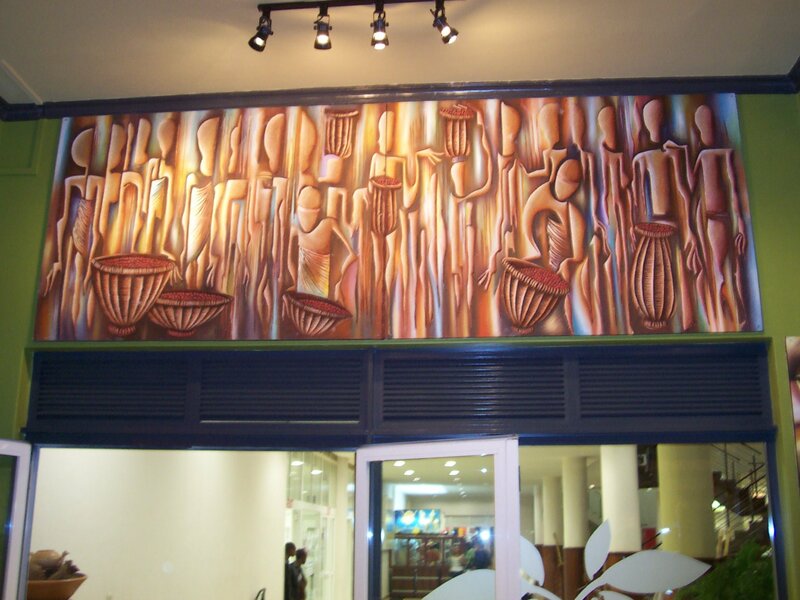 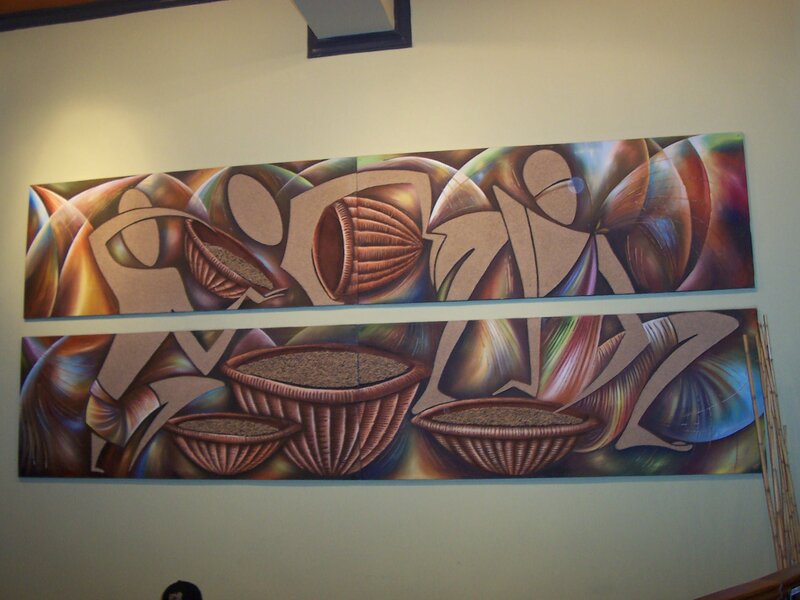 There is a very fine internet cafe in the heart of Kigali, the „Boubon Coffee“. 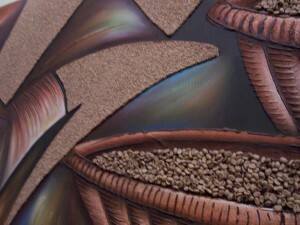 There you can surf and drink fine coffees from the Akagera region of Rwanda. 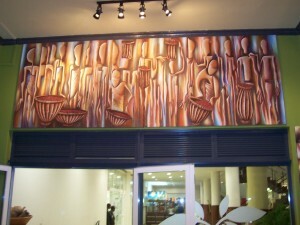 And you can look onto wand filling artworks in the cafe. 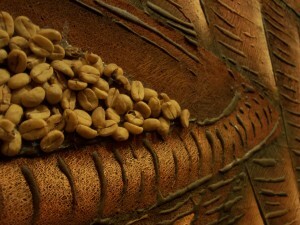 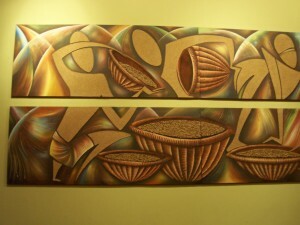 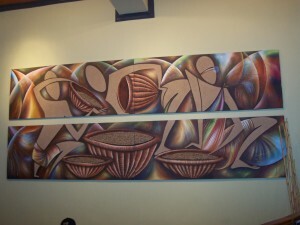 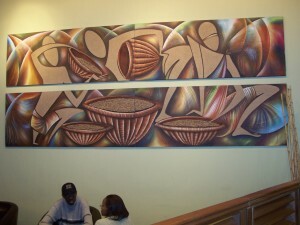 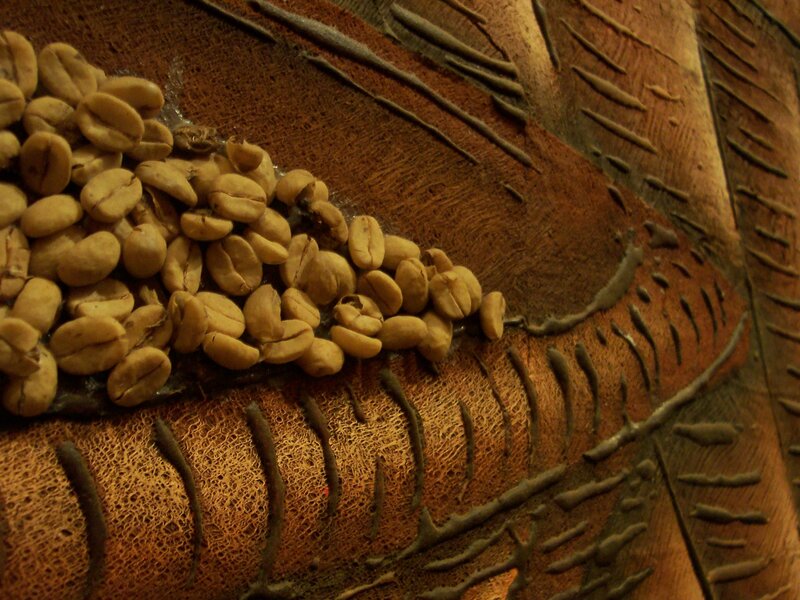 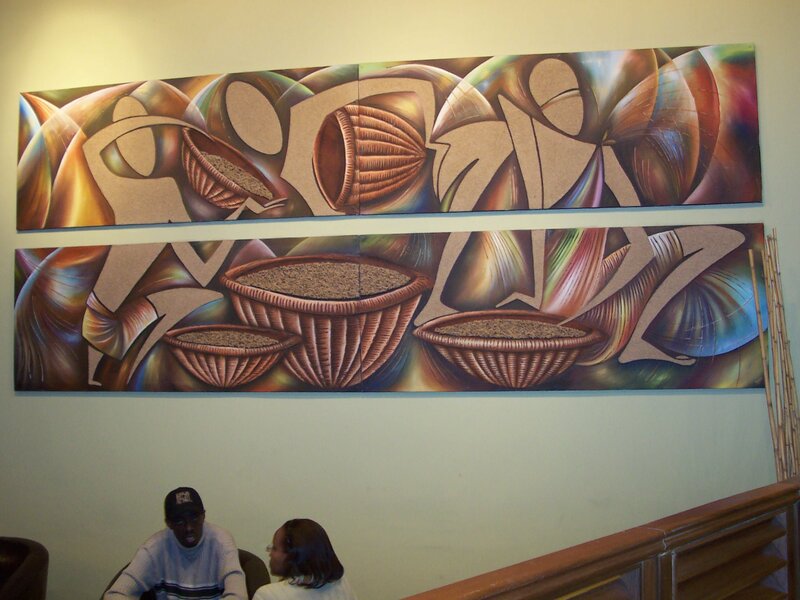 The nice thing of the artworks is, that they are made out of coffee and other materials, connected with coffee.